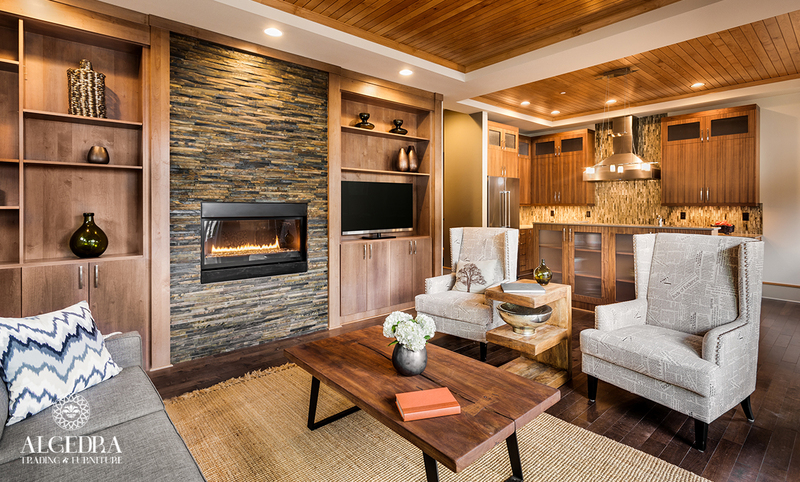 Many people prefer the old simple home design, Interior designers focused on “the fireplace” as it combines between the originality and modernity. The fireplace has become a very important part in the home design for its aesthetic and job, it provides vitality and warmth to the place, the fireplace provides warmth similar to the warmth you feel with your family, you can find the fireplace in luxurious salons, living rooms and rustic homes, the fireplace has many styles and designs and the house environment determines the design of your fireplace for example stone fireplace for a rustic home. Fireplace site affect its functional success, which lies in achieving the warm atmosphere in the winter, the most suitable place for the fireplace is the living room, so it's best to put the fireplace in the corner to keep the temperature and make sure to keep it as far as possible from the hallways and the main entrances of the house. The fireplace is a focus point so it is better to take care of its walls, and add some beautifying details that suit the design, in case of a classic design you add an illusory vertical line in the middle to give balance between the right and the left side this balance is called the formal balance, as for the contemporary design the balance is a visual balance (color, texture, size , material) which is non as the non-formal balance, there are many contemporary designs for the fireplace which have a classic touch. The classic fireplace is still as famous as always, you can still find it in open living rooms. A stone fireplace with a stone background is still every body’s favorite especially in winter. Modernity has effected the fireplace designs immensely, which led to the emergence of many distinctive designs that kept the original look of a wall fireplace. For example, a wall fireplace with a Heat-resistant glass door as well as an internal chimney that does not appear on the wall. There is another type of a fireplace which is positioned in the middle of the house and radiates heat in every direction. It is designed to be in the middle of the room, it has small holes in every direction that distribute heat evenly. 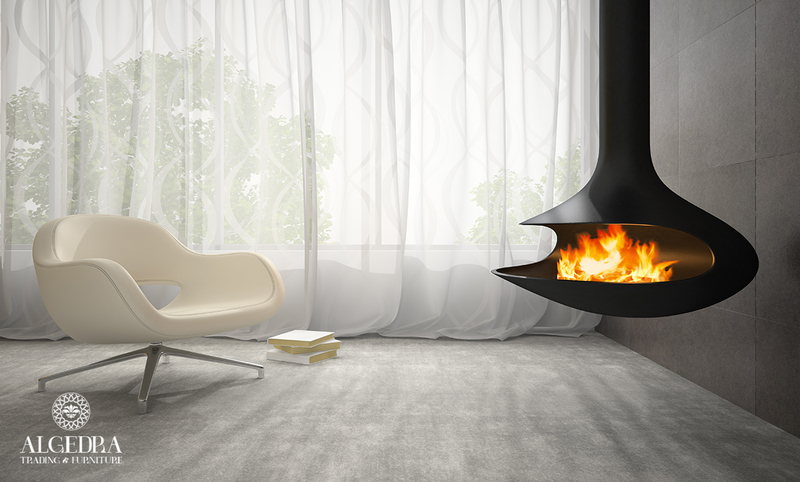 It is considered one of the latest designs and models for a fireplace that is simple yet very aesthetic. Another type of heater is placed within a separation wall, this is fully surrounded and enclosed with heat-resistant glass and lifted from the ground up by appropriate distinctive marble to keep the right heat and safety. The heater, which mediates a stone wall is another r distinctive model, and this model has soft lighting on the ceiling corners the light up the fireplace and the nearby corner also. And it also attracts attention to the wooden décor and distinctive decors in the whole place. 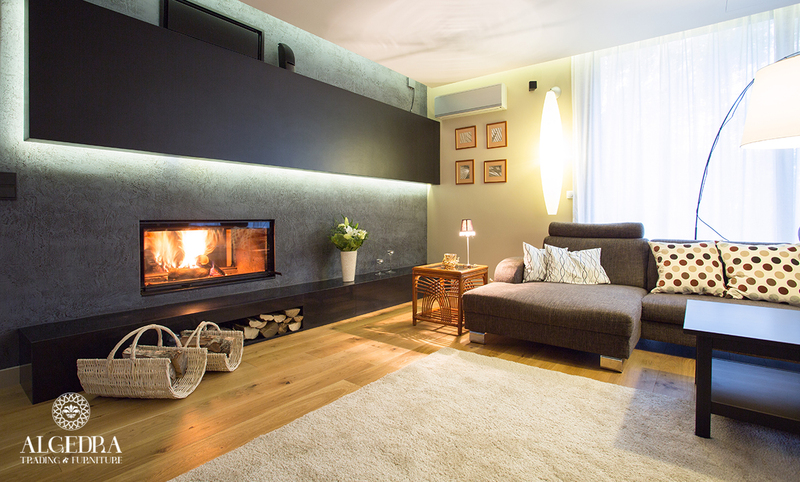 With the many designs and models the choice for a fireplace has become easier, as the new designs have introduced many practical and elegant solutions and type of fireplace that will keep your house looking distinctive and warm in winter. Recent innovations and designs of heaters contributed in spending time in the garden with family and friends enjoyable, by developing vertical fireplaces that burn wood and gas to distribute heat and spread warmth in cold nights.